Regular readers will remember that some time ago I was given a box of CD’s by my Dad. These were CDs that I left in a box in his house in 1998 when I graduated from university and moved to Devon. Every week I picked one at random and wrote about the music, some of this music was quite good, some was terrible. Well, brace yourself, because at the weekend, I found another box. It wasn’t at my Dads, it was in my own house. In the loft. There is a story behind this box, if you will indulge me…. Mrs S-WC asked me to go in the loft and move some bits and pieces and to bring down a few other items that we were taking to the charity shop and the tip, domestic life is bliss in S-WC towers. So up in the loft I went, I found the items that were being thrown out, a pink surfboard (not mine or for that matter Mrs S-WC’s), a hoover box full of small pieces of foam (no idea), a piece of spare carpet (not the same colour as the rest of the carpet in the house), and some books, ignored baby toys and clothes for the charity shop. I moved them one by one towards the loft hatch. 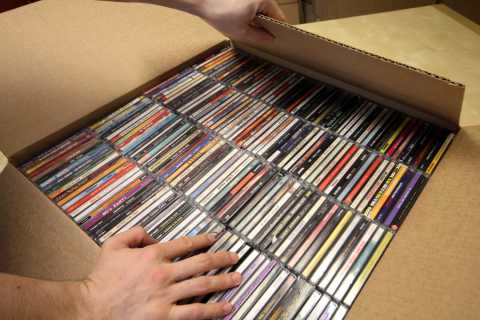 Now, all my CDs are loving stored in waterproof, childproof, bombproof, dampproof, and animalproof boxes in the loft, there are quite a few of them (far less than there used to be, but a lot never the less) and I pretty much know what is in each box. Underneath or behind all the stuff that I had just moved was a shoebox, (Duffs Shoes, and for the record I have never owned a pair of Duffs Shoes) inside this shoebox was roughly 35 CD’s. I scratched my head. Not because I was perplexed but I thought a spider fell on it about ten minutes ago and I’ve been jumping at the slightest itch ever since. But this was strange…..I went over to the CD boxes, and opened up one of them, and where these CDs should have been were four books. About cats. Now our cat, died about two years ago from Kidney failure, and it was a horrible thing to see and to go through and each of these books was about caring for a terminally ill pussycat. Mrs S-WC took the death of the cat very badly, so I do the right thing, I leave the books where they are and shut the box lid. But strangely Mrs S-WC chose the CD Box full of the CDs that I have not yet got round to converting to mp3 – she couldn’t have possibly known this, so I take the box downstairs and put it to one side. I make Mrs S-WC a cup of tea and pull a CD out…..
‘The Magic Treehouse’ – Ooberman is, as you expect by the name of both the band and the album, a bit twee. They are a band with strong indie, folk and progressive tendencies that sadly split in 2003 after their second album ‘Hey Petrunko!’ failed dismally. I think they might have since reformed but I may wrong in with that. Their debut album was the ‘The Magic Treehouse’ and the opening line of the entire album is ‘A star in heaven knows my name’ and it kind of sets the tone. If you don’t mind a little (ok a lot) tweeness in your music, then Ooberman are for you. If you own even one Slipknot record then its probably not for you. The Magic Treehouse is so twee it is dressed in pastel colours and wearing sandals. 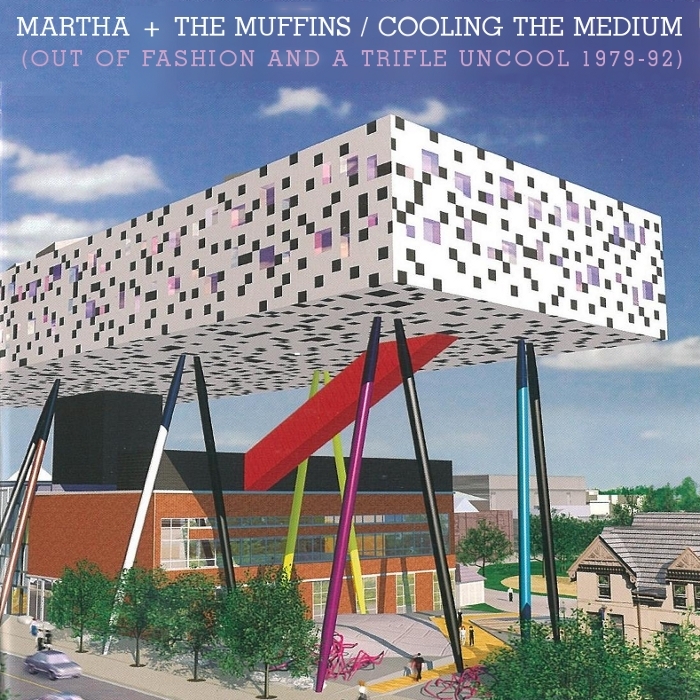 They hailed from Bradford originally but didn’t really gel as a band until they moved to Liverpool and started releasing records in the late nineties. I first heard Ooberman when I was sitting in an office at work and Jo Whiley played ‘Shorely Wall’. In 1998 it was named Single of the Year by the Times Newspaper. It is that kind of song, catchy, adorably sweet and contains this spoken word bit at the end by Sophie Churney the band’s keyboard player in which I’m pretty sure she is close to tears. Trust me if you haven’t heard this before it will be all over you from the first second you hear it. Seriously if you don’t think this in an incredible piece of pop music then you were born with something missing. I’m guessing that Ooberman’s closest musical peers would be Belle and Sebastian in that they rarely gave interviews and live shows were few and far between – but they kept in touch with their fans through their Internet site and as such grew an audience that were devoted and dedicated. Personally after listening to it I think its sounds like it comes from the same asylum for the musical insane as Gorkys Zygotic Mynci. Either way its all a bit lovely and gorgeous. So – one down 34 to go. Actually 28 to go, 6 were compilation albums from the NME so I’ve put those to one side (one had So Solid Crew on it and we don’t need to hear that). I’ve numbered each one, some are singles, some are albums. Pick me a number folks……………. 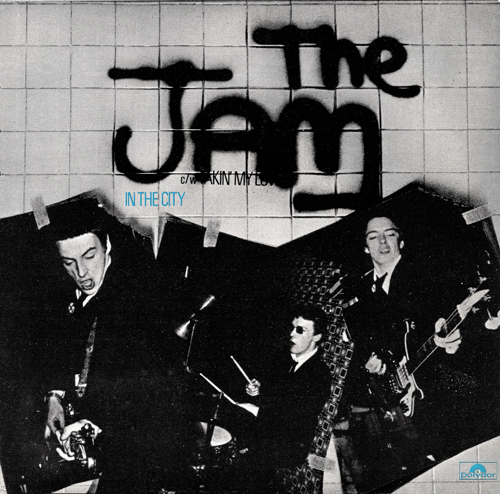 I’m assuming that all regular readers will be aware of The Jam and so I’m not going to insult anyone’s intelligence by doing any potted history or bios. Instead, I’m going to use this new series as a way of giving myself a bit of an occasional rest by simply re-producing the sleeve, posting up the tracks and offering small bits of trivia and the occasional alternative version. The debut single was released on 29 April 1977 and reached #40 in the singles charts, the first of 18 successive chart hits for the band. It would go onto be re-released as a 7″ single by Polydor Records on three more occasions – in 1980, 1983 and 2002, hitting #40,, #47 and #36 respectively, meaning that its best chart performance was a full 25 years after its initial release. 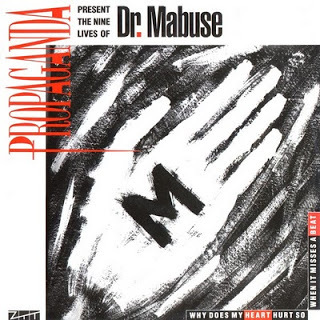 My first exposure to Propaganda came one night at the end of an episode of what by then was called Whistle Test, when a memorable pop promo for a song called Dr Mabuse was played out over the credits sometime around early 1984. It turned out that this was to be the second single released on the ZTT label – the first being the amazingly successful Relax by Frankie Goes To Hollywood. I was immediately captivated by its charms – it was a big booming tune that offered something different each time you played it. Oh and in co-vocalist Susanne Freytag, they had one of the most stunningly gorgeous women in the pop world. The single was only a minor hit, peaking at #27, and with subsequent FGTH singles also being multi-million sellers, the relatively small ZTT had to put all its eggs into one basket, so Propaganda were left to one side for the best part of 12 months and it was April 1985 before the follow-up single Duel was released. For the rest of the year, the band enjoyed quite a high-profile, including a number of TV appearances, live gigs and the release of the debut LP A Secret Wish in July 1985. Incidentally, the vinyl and CD versions of the album are very different – they were released some three months apart, and the CD has extended and slightly remixed versions of a number of the tracks. I loved A Secret Wish. It was the sort of record I had imagined Simple Minds going onto make on the back of their earliest releases instead of gravitating towards the stadium rock behemoths they were becoming. 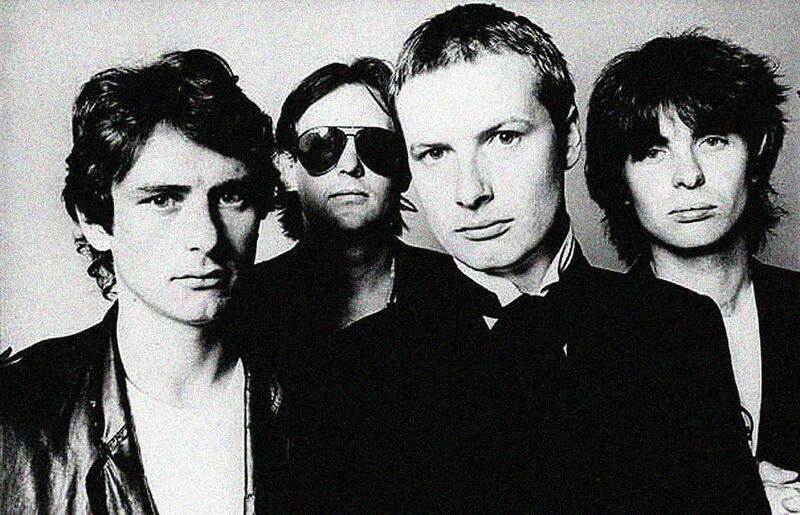 And it was no real surprise that the Propaganda which went out on tour featured the ex-Minds bassist Derek Forbes…..
Yup, another 80s band besotted by The Velvet Underground…..
Oh and there’s another version of Dr Mabuse also tucked away on the b-side, but it’s just a bit too industrial for my liking today. Creation Records thought they were onto a good thing with The Loft. 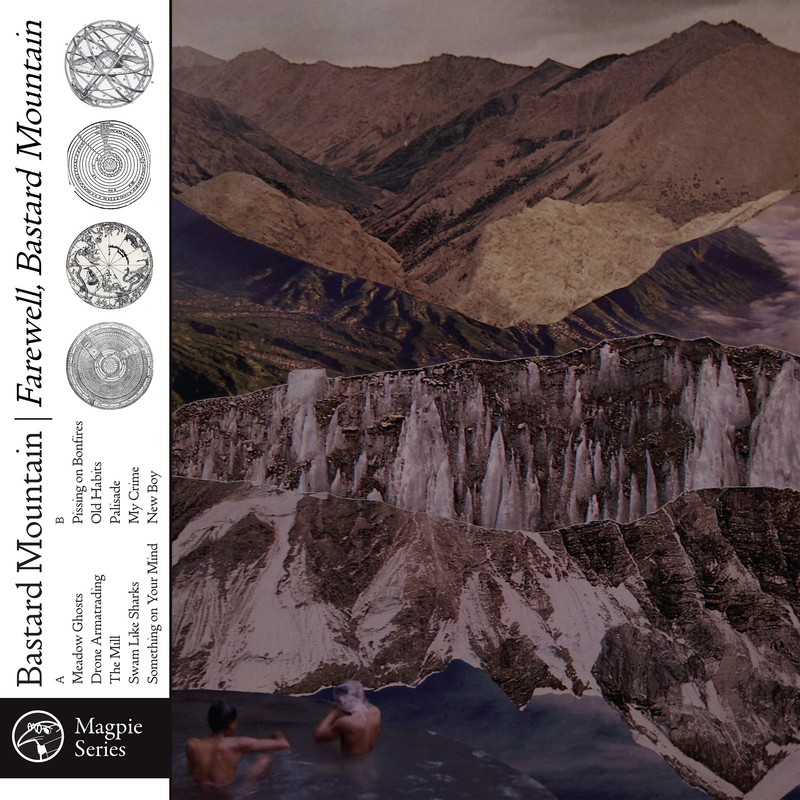 The four piece’s first two singles – Why Does The Rain and Up The Hill and Down The Slope in late 1984 and early 1985 had picked up a fair amount of critical acclaim and sold reasonably well for a purely indie-based label. Theirs was the sort of music that had mainstream radio chart potential. But The Loft called it a day in mid 1985 and out of the ashes emerged The Weather Prophets just under a year later with Pete Astor (vocals/guitar) and Dave Morgan (drums) joined by Oisin Little (guitar) and David Goulding (bass). 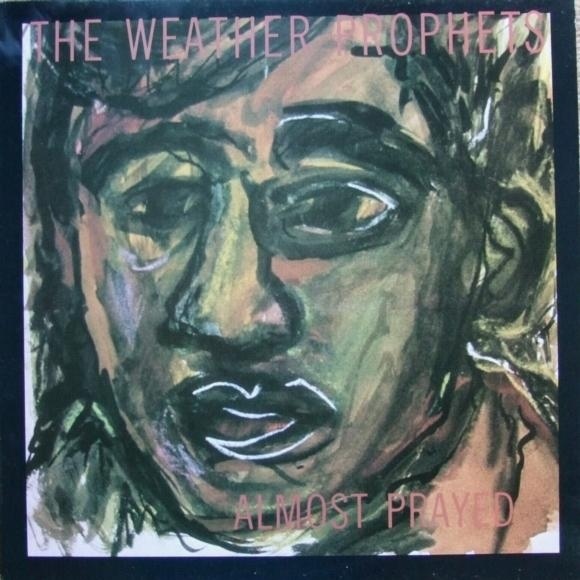 The debut single, Almost Prayed, wasn’t all that far removed from the sound of The Loft and by the end of the year a second single and a German import LP that had come out on an overseas imprint of Rough Trade Records had seen many tip them for great things in 1987. By now Alan McGhee had been given money by Warner Brothers to form a new label which he named Elevation Records and its first releases involved The Weather Prophets – two singles (one of which was a re-recording of The Loft’s debut 45) and an album. But pop music and critical acclaim have always had a fickle relationship and those who had supported the band through the Creation years were disparaging with the Elevation releases although musically there wasn’t much between them. The band went back to Creation in 1988 and released two more singles and an album which was a little bit rockier than previous efforts but still success eluded them. The band broke up in late 1988 at which point Pete Astor pursued a solo career and Messrs Morgan and Goulding became part of a new alt/country group called The Rockingirds.